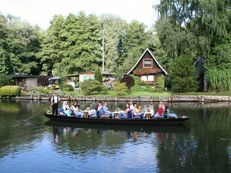 As well as its unique landscapes, the Spreewald offers numerous exceptional sights for large and small visitors. 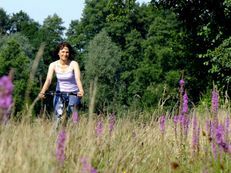 The UNESCO Spreewald Biosphere Reserve is not only known for its exceptional landscapes but also for its unique culture and tradition. The many sights of the Spreewald reflect this unique character. Old Sorbian settlements, lordly castles and architecturally significant churches are witnesses to a diverse history. The museum village of Stary Lud in Dissen conveys a particularly vivid impression of life in the Slavic Middle Ages. In the five pit dwellings making up the little settlement, potters' benches, wrought iron and loom bear witness to the life of the settlers 1,000 years ago. The Slavic castle of Raddusch also tells of the settlement history of the Spreewald and the Lower Lausitz region. Many former castles were extended over the years to become magnificent palaces. The palaces in Lübben, Lübbenau, Vetschau and Branitz with their expansive gardens are among the most beautiful sights in the Spreewald. The artistically designed landscape garden of Castle Branitz has been a UNESCO World Heritage Site since 2004. 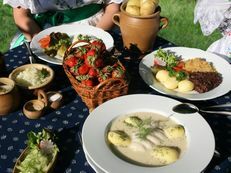 Anyone wanting to know what life was like for simple Spreewald residents in the 19th century is recommended to visit the open-air museum in Lehde. The four historical farms with their lush farm gardens and interactive adventure worlds convey exciting details of traditional crafts and regional traditions. 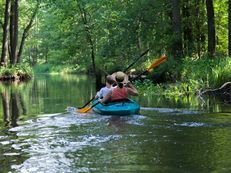 Besides the interactive museum villages, there are many other sights in the Spreewald waiting to be discovered with the whole family. For example, the large water playground on Lübben's Castle Island is a veritable invitation to have endless fun with its rafts, excavators and waterfalls. 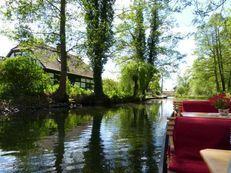 A visit to Tropical Island is also one of the highlights of any family holiday in the Spreewald. In this former airship hangar, visitors can immerse themselves 364 days a year in a tropical adventure world with white sandy beaches and crystal-clear water.